Disney – Travel, Family & Fun rolled into one! Comfort Food On Fleek at Chef Art Smith’s Homecomin’at Disney Springs! Unexpected Value at Disney Parks! Epcot’s Food & Wine Festival 2018 Pictorial! 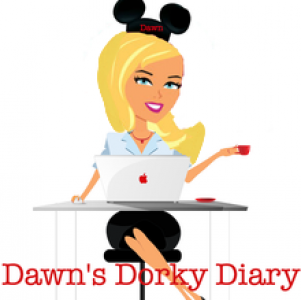 Tips and Tricks using Walt Disney World Resort Transportation! 5 Must-Have “Disneylicious” Delectables at Walt Disney World Resort! Disney’s Grand Floridian Resort & Spa “Royal Palm Club” Concierge! Amazon “Prime Now” available at Walt Disney World Resort! Errrt’ Off the Normal “Walt Disney World” Beaten Path! “Toy Story Land” at Disney’s Hollywood Studios! Review of Disney’s Wilderness Lodge- Geyser Point Bar & Grill! “Sunshine BreakfasTime” at Wyndham Lake Buena Vista with the “Disney” Characters! Revamped “Planet Hollywood” Observatory at Disney Springs, Food Review! “Le Cellier” Steakhouse Review in Epcot’s “Canada” Pavilion, eh! I’ve heard Disney dorks rave about Canada’s pride and joy “Le Cellier” Steakhouse for an eternity. Anytime this Signature Dining steakhouse was mentioned, the next two words were inevitably Cheese Soup and Pretzel Bread! I’ve actually sampled both at Epcot’s Food & Wine Festival on more than one occasion. At no time, did either make me hop onboard the tasty train…. “Best Friends Pet Care” at Walt Disney World Resort! Location~ Disney’s Wilderness Lodge Resort Date~ July 2017 Posse~ My family which included; Myself, Hubby, Peyton & Logan Story~ Come along with my gang as we explore the recent refurbishments to Disney’s Wilderness Lodge Roaring Forks quick service restaurant. Impression~ Aesthetically very outdoorsy and pleasing to the eye, fits in well with the Wilderness Lodge theme…. Fortuitous “Turn of Events” at Disney’s Grand Floridian Resort & Spa! My Favorite Souvenir Shop in each Walt Disney World Resort Park! Disney’s Polynesian Village “Club Level” Resort Review! My children at Epcot Flower and Garden Festival one week ago! “Must Do’s” at Walt Disney World Resort! March 2012 Disney’s Aulani Resort, Hawaii! GIVEAWAY ~ Cooking Up the Magic of Disney at Home ~ GIVEAWAY! Goodbye Winter, So long Snow, It’s time to Watch the Flowers Grow! *Throwback Thursday* (3 yrs ago) My Worst Day Ever! Argh! Our outfit for “Pirate Night” on the Disney Fantasy! Walt Disney~ Quote of the Day! Have a safe, HAPPY July 4th!